This isn’t the first time that Europe’s parliamentarians have demanded a ban on killer robots. 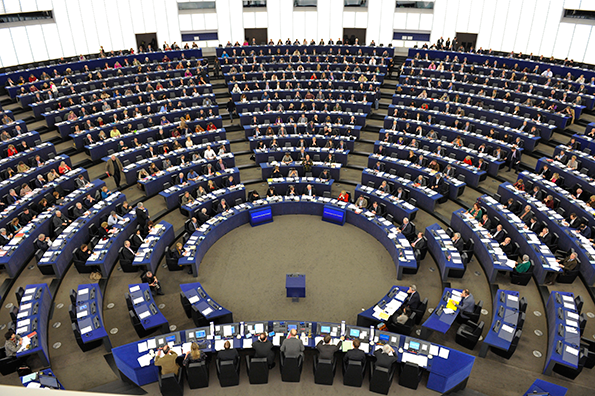 In February 2o14, a similar number of 534 members of the European Parliament of resolution calling for on EU member states, the Council of Europe, and the High Representative for Foreign Affairs and Security Policy to: “ban the development, production and use of fully autonomous weapons which enable strikes to be carried out without human intervention.” Another 49 parliamentarians voted no on Resolution 2014/2567. There was strong convergence from a majority of states on the need to retain some form of human control over weapons systems and the use of force at the sixth Convention on Conventional Weapons (CCW) meeting on lethal autonomous weapon systems at the UN in Geneva last month. The 88 participating states could not agree on the best way to achieve this objective, but recommended continuing the talks next year. States will formally decide on the 2019 mandate at the CCW’s annual meeting on 23 November 2018. France and Germany have proposed pursuing a non-binding political declaration, which Germany regards as an interim measure before negotiating new law but France sees as the end goal. The Netherlands does not support negotiating new international law and regards meaningful human control as good programming in the pre-deployment phase as sufficient to address concerns. Meanwhile calls to retain human control over the use of force continue to mount. On 25 September, UN Secretary-General António Guterres called weapons that could select and attack a target on their own “morally repugnant” in his address to the opening of the annual session of the UN General Assembly. Guterres has offered to help states negotiate new international law to deal with the “multiple alarms” raised by killer robots. Soon the calls for a treaty to prohibit fully autonomous weapons will become too numerous and widespread for states to ignore.